Downstems are a crucial part of most bongs. 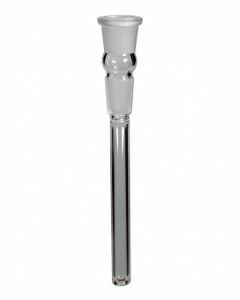 Although some bongs have an attached downstem, most models need a seperate downstem in order to function. The downstem is the part of the bong through which you pull the smoke into the bong water. Unfortunately, bong downstems sometimes break when cleaning a bong, when it falls off your kitchen counter or table. Bongify is your one-stop shop for replacement downstems, and best of all: they're cheap! Here you can find all bong downstems in our assortment. This includes glass downstems, metal downstems, diffuser downstems, cheap downstems and "inside cut" downstem adapters. 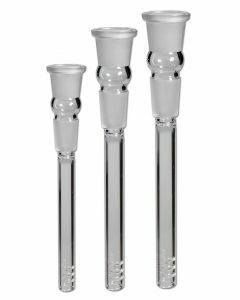 We also offer "chillums" which are essentially a downstem and bowl in one piece. A bong downstem, also known as a "downpipe", "chillum" or "adapter", is the little pipe in your bong through which the smoke is drawn into the bong and through the water. The downstem is a seperate component that fits into the bong. A bong bowl is mounted on top of the downstem. The herbs in the bowl are lit and the smoke is drawn through the downstem. 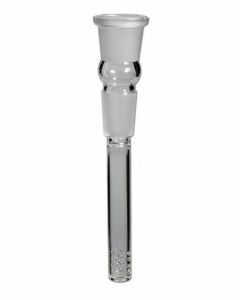 A bong downstem is therefore not only essential, but it can also improve your smoking experience. A good downstem has a good airflow with enough space for the smoke to pass, fits into your bong perfectly and is made of strong and durable glass (borosilicate glass or "scientific glass" downstems). For drastically improved smoking comfort you should use a diffuser downstem. Did you break your old bong downstem when cleaning your bong? 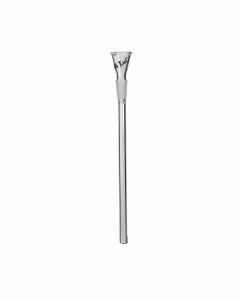 For only a few euros you can buy a replacement downstem online in our store. 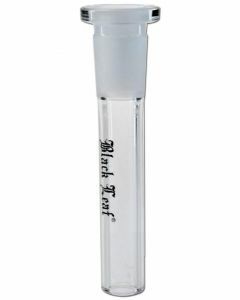 Or are you looking for a diffuser downstem to improve the smoking experience of your bong? 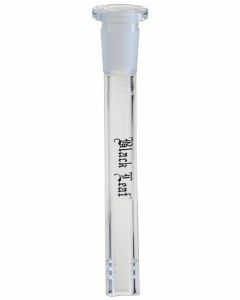 Look no further: at Bongify you will find the best and cheapest bong downstems from the premium brands Black Leaf and Blaze Glass. 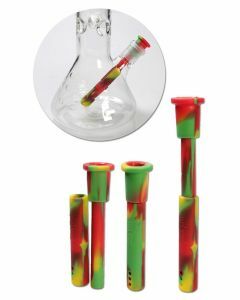 We even have downstems for homemade bongs for sale. 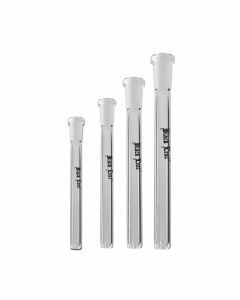 Make sure you get the right downstem sizes.